This new photo was taken a bit later during the flyby and shows more of a side-lighted perspective. 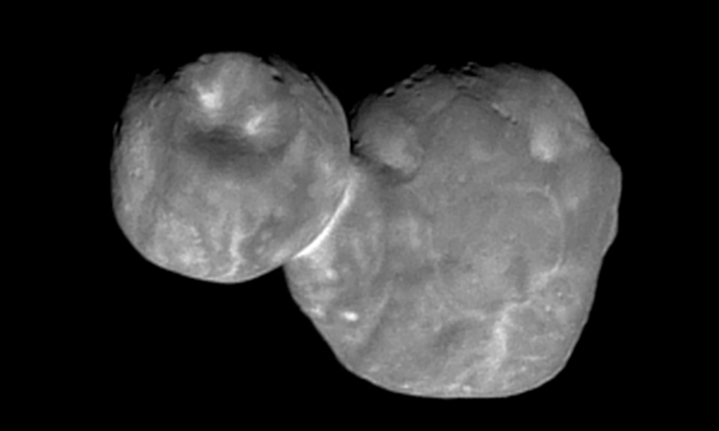 This view highlights Ultima Thule’s contours, including a prominent crater on the smaller of the two lobes. While at first glance it looks like an impact crater, NASA says it could also be caused by an internal collapse.